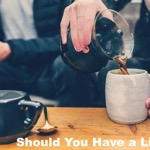 Blog Should You Have a Living Trust? Living Trusts, also known as “Revocable Trusts” are estate planning tools that can be incredibly useful but are often misunderstood. If you don’t understand why you have a trust, that’s a problem. Consider talking to the attorney who drafted it or the LegalZoom representative who sold you one (just kidding). First, it should be clear that there are many, many variations a trust and not every trust is created equally. I won’t explain all of the varieties of trusts that exist – rather, I’ll discuss the most standard type of trust that is created. A Living Trust is very plainly, a written legal instrument which directs how assets placed into the trust will be managed both during your life and after you pass. Sounds a lot like a Last Will and Testament huh? Well, in some respects, a Trust is very similar to a Will. Both instruments explain what to do with assets after you pass but only a Trust can serve you while you are alive. The most common type of trust is called a “Living” Trust (and sometimes, an “intervivos trust” because it is created while you are alive. In contrast, it is very common in a Last Will and Testament to include provisions for a “Testamentary” Trust, that is, a trust that is created by the Will after you die. More importantly, the Testamentary Trust can not be engaged before you die while a Living Trust can be utilized to your advantage while you are still alive. Isn’t a Last Will and Testament Enough? Honestly, I did not intentionally skew this list to disparrage the value of a Last Will and Testament. Everyone should have a Will so long as everyone understands the purpose of a Will (for another post on another day. When you die, your trust will own or become the owner of most (and hopefully all) of your assets. If you successfully and completely fund the trust with all of your assets, then there will no longer be any assets in your name and therefore, no reason to probate your estate. You no longer own these assets…your trust does. Think of your trust as its own entity, not unlike a small company. This company has trusted managers (trustees) whose job it is to carry out the required task of ensuring all of the assets are properly distributed to your trust beneficiaries. Without a trust, your assets will still pass onto your beneficiaries BUT the court’s will supervise the entire process and creditors will be able to take what is owed to them. If your assets are all owned by your trust, creditors will have a very difficult time peering inside to get paid. So a Living Trust can Protect My Assets? That’s a fairly broad statement so I won’t commit to that. Claire executed, among other things, a Living Trust and made sure to fund it with all of her assets. She stopped by her bank and designated the trust as the primary beneficiary of the account if she were to die. She also deeded her house into the trust. She had no other significant assets. Claire dies after 125 glorious years of life as a lawyer/doctor/astronaut. As far as the rest of the world is concerned, Claire died with nothing to her name. All of her assets were now owned by her trust. The bank wrote a check to liquidate her account which the trustee of Claire’s trust deposited into a checking account in the name of the trust. The bank did not require any court documentation to release the funds. Her house was already owned by the trust so no probate was necessary to transfer the house. Unsecured creditors can file claims against Claire’s estate only if her estate is opened in probate court. But if there’s no reason for Claire’s beneficiaries to go to probate, then who is going to bother to open the probate? No one. Creditors can force the probate open but that costs time and money and they have no idea what is inside pandora’s box when they open it. They might be joined by many other creditors or find that Claire had no assets. That’s not a risk most creditors are willing to take. Claire’s designated trustee’s only job now is to follow the instructions in the trust and distribute the bank account and the house to Claire’s beneficiares. 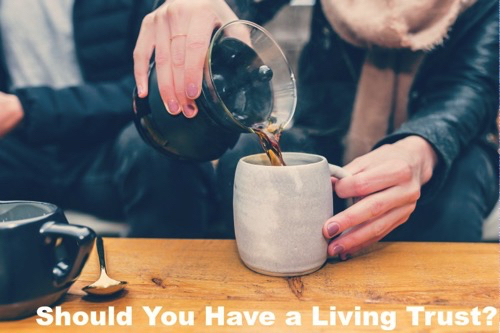 So… Should I have a Living Trust? Do you own multiple real estate properties? Do you own real estate outside of Florida? Do you despise the probate court system? Is your financial privacy terribly important to you? Do you want your beneficiaries to have faster access to your assets? Do you want someone to manage your financial affairs while your still alive? There are at least 25 more questions I could ask and I didn’t spend much time talking about the lifetime benefits but you get the idea. Living Trusts can be incredibly useful but they aren’t for everyone. Consult with an experienced estate planning attorney before taking the leap.